It’s the Queen’s Birthday Long Weekend here in NSW and Barangaroo Clinic wants to give you the royal treatment. We’ve lined up these special offers that are guaranteed to make you feel regal. At the footinjuryclinic, we are serious about feet. 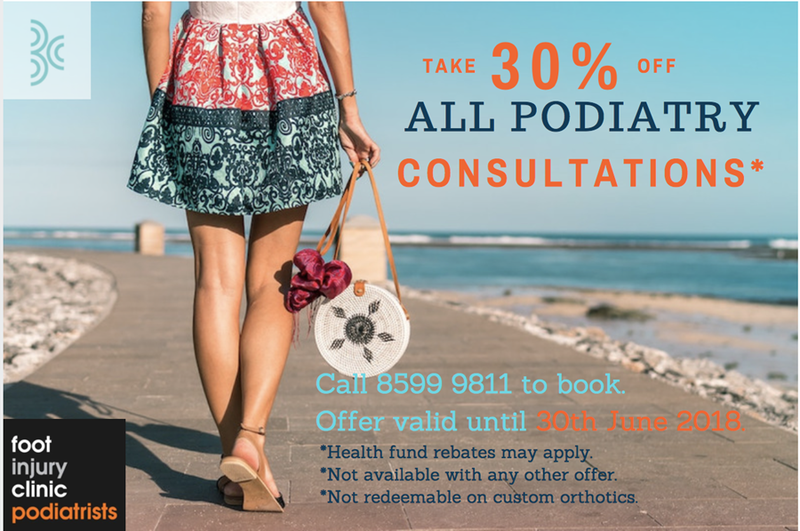 We will discuss your foot care in a language you understand, using individually tailored, multi-faceted treatment and comprehensive examination. While the world held its collective breath as Meghan Markle walked down the aisle to marry Prince Harry, we couldn’t help but admire her perfect poise and posture (along with her gorgeous gown and radiant smile!). Apart from our daily grind, isn’t it? If you ever catch yourself sitting hunched over your laptop with your phone jammed between your chin and neck all day long, you’re definitely in need of some postural adjustments. So click on the video below for these easy “deskercises”. Your aching back will say thank you. And who knows, you just might find yourself walking regally like Meghan Markle (just hold back on the royal wave, will ya?). You might think scones are “posh posh”, but they’re surprisingly easy to bake and oh-so-satisfying! They’re perfect with an afternoon cuppa to beat the winter chills. The only question is: do you spread your jam first and then your cream, or the other way around? Put the flour, salt, sugar and butter into a large mixing bowl. Rub the butter into the flour using your fingertips. Mix until it resembles breadcrumbs. Now make a well in the centre and add the milk. Stir with a spatula or blunt knife until it just comes together. Do not over mix! Put the dough onto a lightly floured surface and knead it just a little. The less you knead the dough, the lighter and more crumbly your scones will be. Roll dough to a 2-3cm thickness. With a 6cm round cookie cutter (or even the rim of a glass), cut out circles from the dough until all the dough has been used up. Place them slightly apart on the lined baking sheet. Brush the tops of each scone with extra milk. Bake for 15-20 minutes until golden. Cool on a wire rack. Serve with lashings of cream and strawberry jam. Enjoy!